Health workers have threatened to commence on industrial action over failure of the Federal Government’s to honour an agreement it made with it by approving the adjustment of CONHESS scale as was done to medical doctors’ CONMESS since January 2014 and replicated in September 2017. 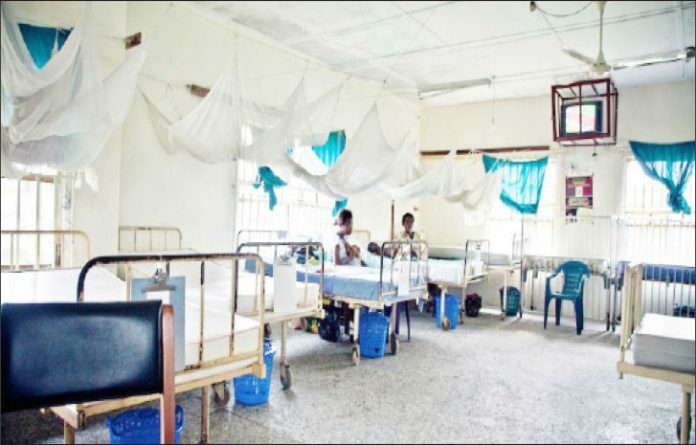 The health workers who came under the auspices of Joint Health Sector Unions and Assembly of Healthcare Professional Associations (JOHESU/AHPA) said that the delay in implementation by the Federal Government was not causing crisis in the health sector. This warning was contained in a communiqué JOHESU/AHPA issued at the end of its three-day consultative meeting held from February 6 to 8, 2018 in Abuja, just as the group noted it has communicated its discontentment on the issue to the appropriate government quarters. They accused the Federal Government of deliberately foot-dragging in approving the adjustment of CONHESS scale and lamented that this was also affecting the efficiency of professionals in the sector. CONHESS means Consolidated Health Salary Structure for health professionals and staff in the federal public service, while CONMESS is consolidated medical salary structure for medical and dental officers also in the federal public service. The health workers urged the Federal Government to revisit the constitution of the membership of the boards of all the Federal Health Institutions (FHIs) urgently. They claimed that the list of members published in December 2017 seriously violated the Teaching Hospital Act which provides that a representative of health providers must be appointed on all the boards. JOHESU/AHPA regretted the Federal Government did not appoint its members on the boards despite the fact that a formal list was sent to it on request. It said the action breached one of the terms of its September 30, 2017 Terms of Settlement to redress the perennial lopsided composition of the boards of the FHIs. The communiqué read; “The JOHESU/AHPA put on record that the FG on a sad note did not appoint members of JOHESU/AHPA on the boards despite the fact that a formal list was sent to the Federal Government on request. JOHESU/AHPA, however, commended Hon. Yakubu Dogara, the Speaker of the House of Representatives and Hon. Betty Apiafi, the Chairman and members of the House Committee on Tertiary Health Institutions for granting the leadership of union audience. It urged the lawmakers to facilitate enhanced access to healthcare in the country, boost strategies to institutionalise Public Health reforms to counter the menace of clinical disease state such as Lassa fever, Ebola and monkey-pox in the country. 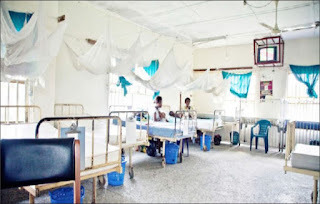 It also pleaded with them to intervene in the unending cycle of discriminatory output of the Federal Ministry of Health (FMoH) in dispensing privileges and resources to the various cadres of health workers in the country. JOHESU/AHPA said it has critically evaluated the seeming unending tenure of the CEOs of some of the FHIs and called on the FG to invoke the spirit of existing circulars to entrench due process the public interest. It warned that at the expiration of the ultimatum it might no longer be in position to guarantee industrial harmony in the health sector. It, however, called for calm among members while the leadership appraises and monitors the Federal Government’s compliance to the Terms of Settlement with JOHESU on September 30, 2017.